Virtual Red Arrows Meet Real-life Counterparts! Lockheed Martin Prepar3D V4.5 Released! Orbx Introduces Olbia Costa Smeralda Airport! Deadstick Bush Flight Simulator Teased in Livestream! PMDG Release PBR Update for 747 QOTSII! PMDG Ends Development for FSX & P3Dv3! More PMDG 747 PBR Previews! 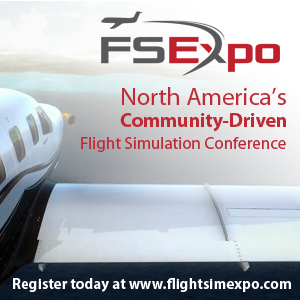 FlightSimExpo Announce Initial Exhibitor List for 2019! Orbx TrueEarth GB for P3D Coming This Week! UK2000 Announce Belfast + End X-Plane 10 Support! Honeycomb Aeronautical Yoke Development Complete! PMDG Release 747 QOTSII Update! Flightbeam Studios Releases KPDX Portland! Captain Sim Preview 757 Freighter Expansion! Flightbeam KPDX Portland Pre-Release Previews! You are at:Home»Scenery»Aerosoft Köln/Bonn Airport Previews! Aerosoft has released further previews of their upcoming scenery for Köln/Bonn airport for FSX and P3D! The previews released today show off both the internal and external modelling of the terminal buildings; along with the advanced night lighting technology included in the product. There’s been no word on a release date for the scenery, however, we can take Mr Ereland’s comments about news/info coming next week as a indication that release in close. Previous ArticleOrbx Kiruna Airport Pack Released! Next Article Carenado Announces EMB120! Hi, I'm the Managing Editor for PCFlight, If you'd like to contact me you can do so via my email: thomas@pcflight.net I hope you enjoy your visit to our website and if there's anything you think we can do better please don't hesitate to get in contact! 11/04/2019 0 Virtual Red Arrows Meet Real-life Counterparts! 09/04/2019 0 Lockheed Martin Prepar3D V4.5 Released! 08/04/2019 0 Just Flight VC10 Released! 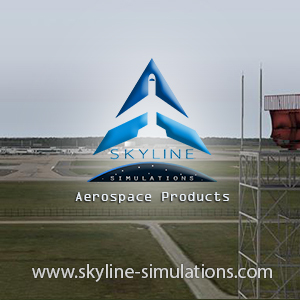 PCFlight is an independent Flight Simulation News and Reviews website. Founded in late 2014 we are a trusted resource for FS Pilots across the world! 18/06/2016 0 Chillblast Superfortress 4 PC Review! 23/03/2015 7 I.D.S Manchester Airport – Previews! 07/01/2017 7 CES 2017 | Brand New Yoke System Announced!